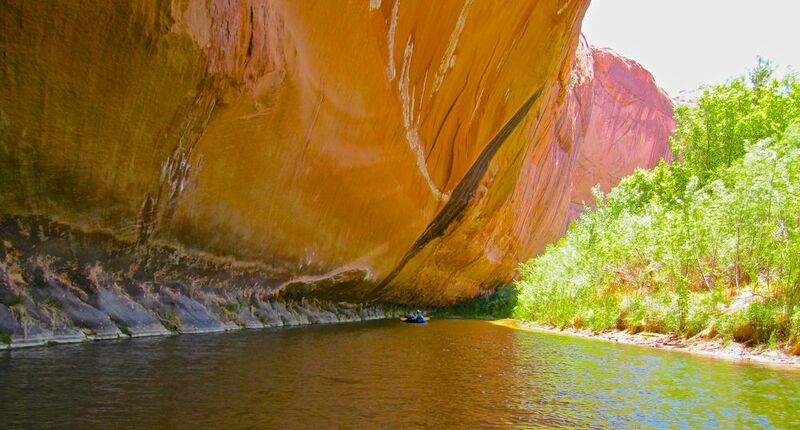 Packrafting in Escalante Canyon is the perfect introduction to paddling in southwestern Utah. I have added maps and more information to my page about Packrafting Escalante Canyon. I've also added this entry to my Routes and Maps page. Karen paddles beneath a long alcove that overhangs the river. The key to packrafting in Escalante is heading out while the flow is enough for a good trip. Much of the year the water is too low for paddling along the upper reaches of the river.